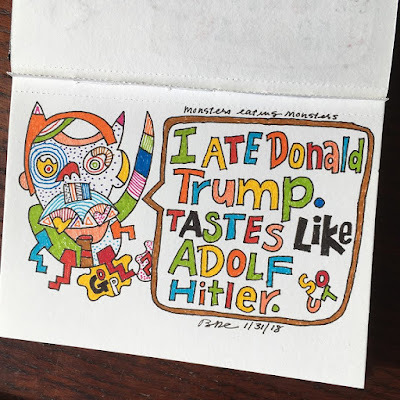 I ate Donald Trump. 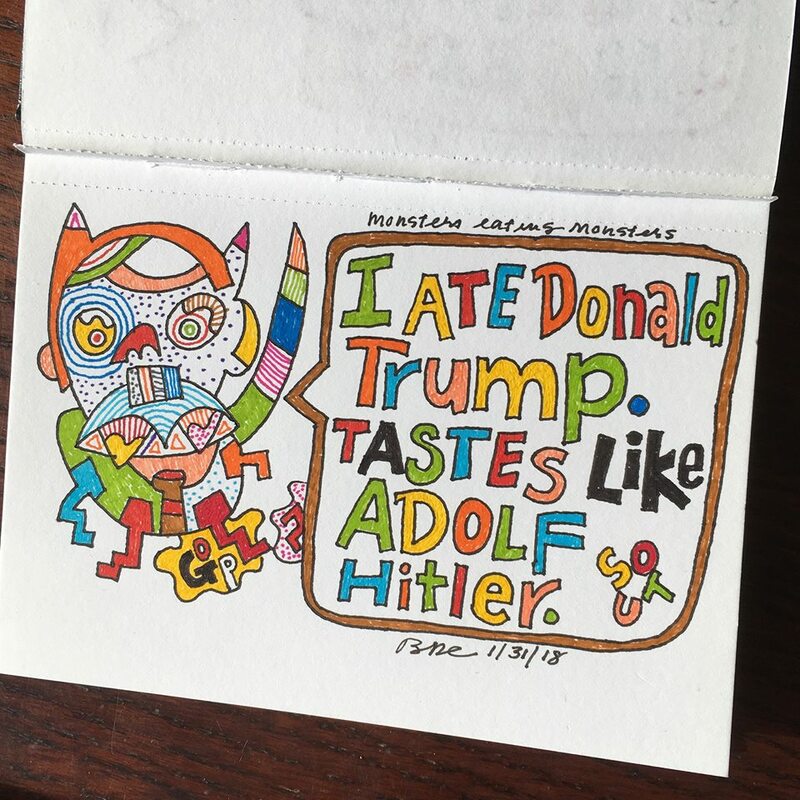 Tastes like Adolf Hitler. 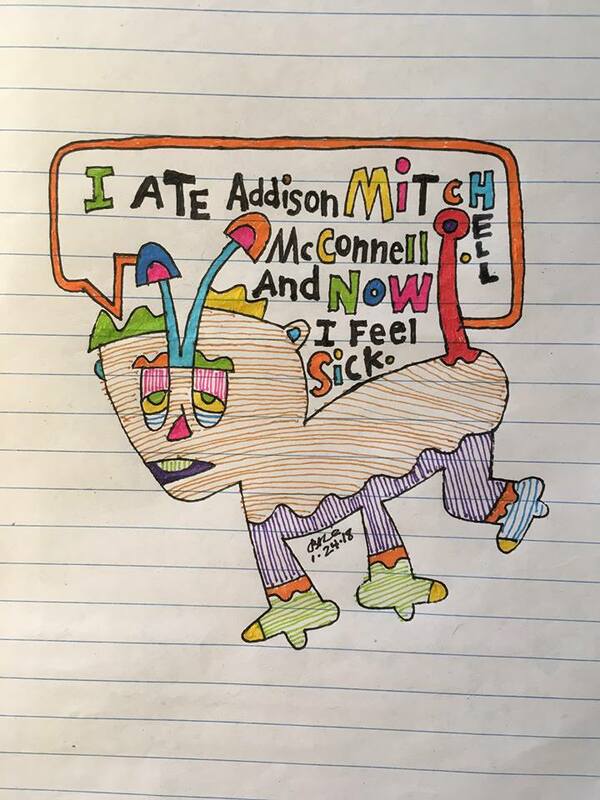 I ate Jeff Sessions. 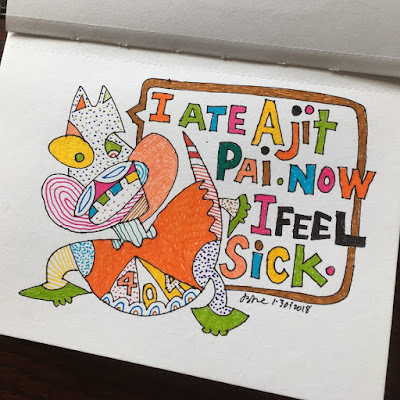 Now I feel sick. I ate Ajit Pai. Now I feel sick. 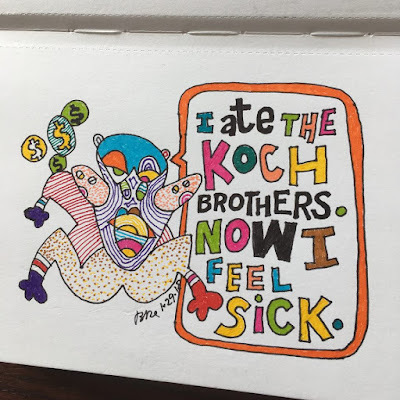 I ate the Koch Brothers. Now I feel sick. I ate Franklin Graham. 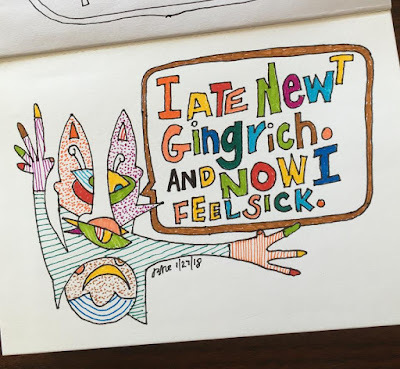 Now I am sick. 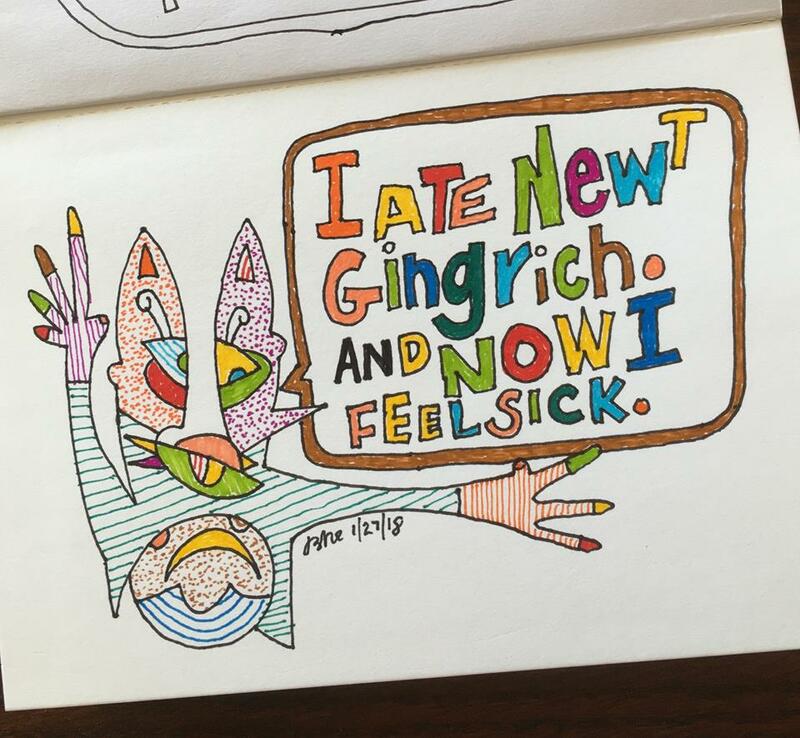 I ate Newt Gingrich. 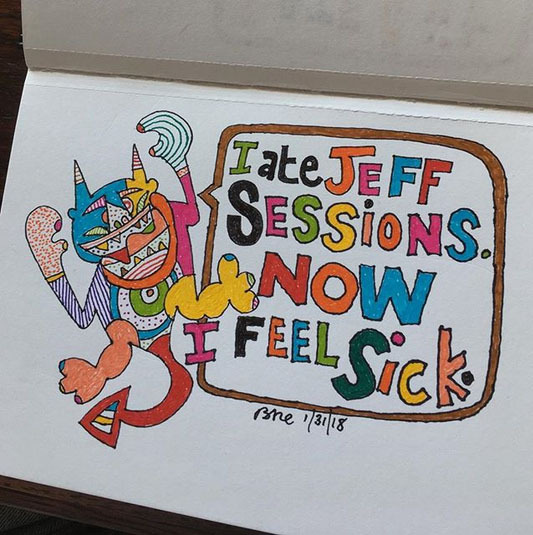 And now I feel sick. 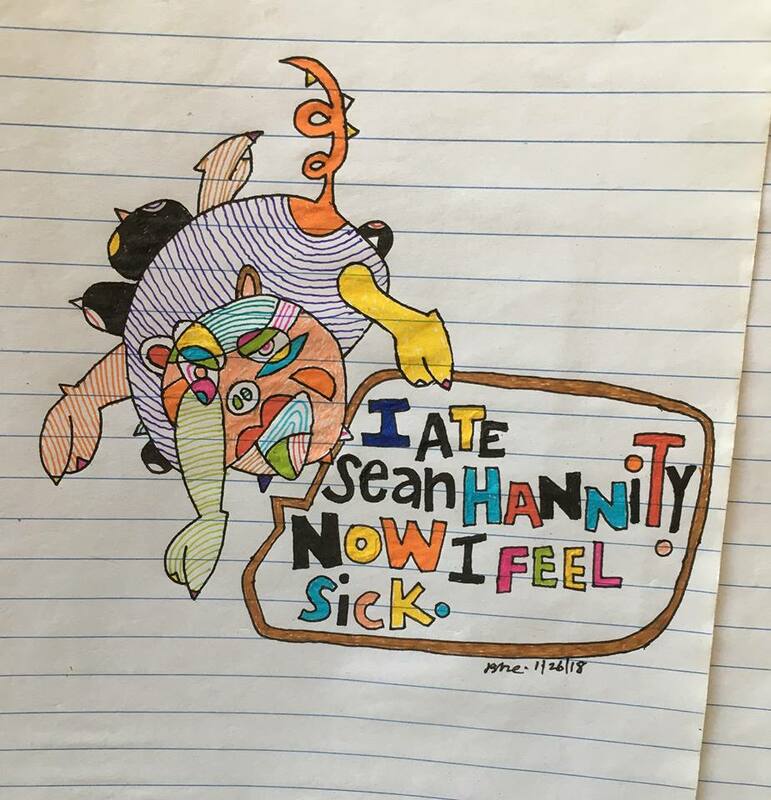 I ate Sean Hannity. 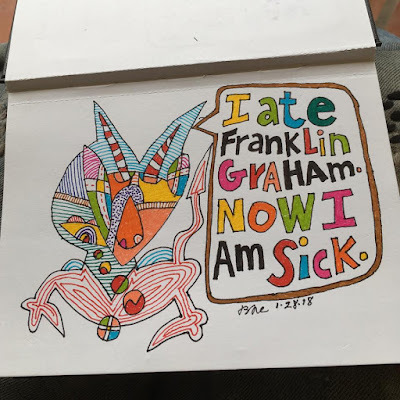 Now I feel sick. I ate Steve Miller. Now I feel sick. 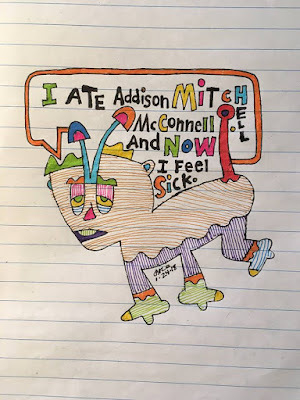 I ate Addison Mitch McConnell (Hell). 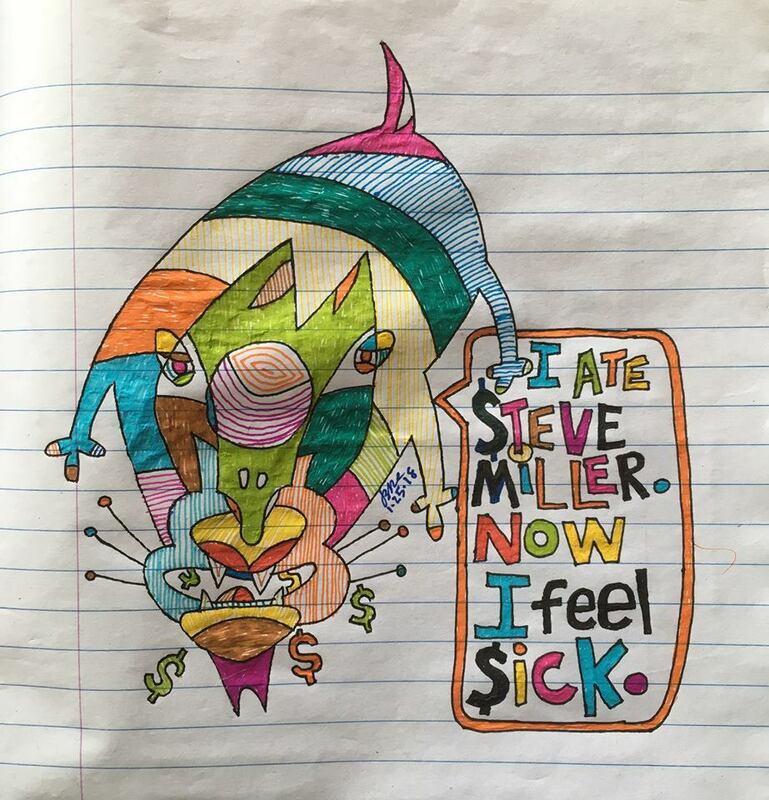 And now I feel sick. 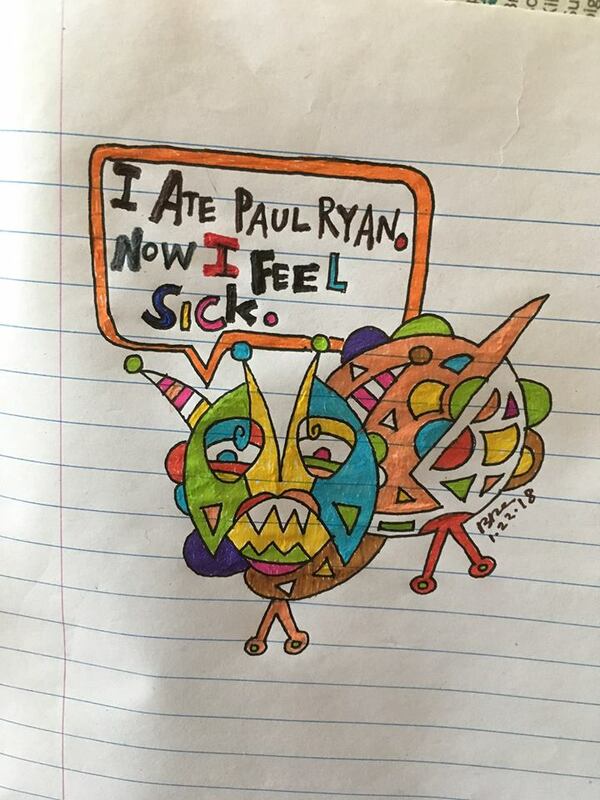 I ate Paul Ryan. 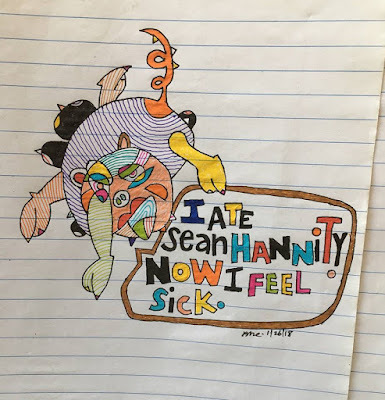 Now I feel sick. Had to be eaten first!